The father of seven and grandfather of 24, Andrew is a native Chicagoan who himself is one of six children. His father, Andrew J. McKenna, Sr., was a first-generation Irish American with roots in counties Mayo and Monaghan. In addition to his private sector positions, he is a director of Lurie Children’s Hospital of Chicago, the Ireland Economic Advisory Board, the Lyric Opera of Chicago, and Metropolis Strategies, among others. A Notre Dame graduate with a B.S. in business administration, Andrew was awarded the university’s Laetare Medal in 2000. 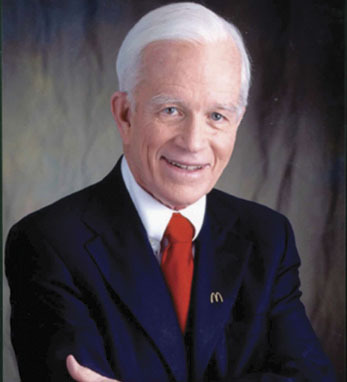 He served as the chairman of the board of trustees from 1992 to 2000 and continues on the board today. He earned his J.D. from DePaul University.